When Vivek Oberoi made his debut with a stellar performance in Company, Bollywood sat up and took notice. He was soon declared the next big thing in Bollywood. However, a few bad choice or scripts and the horrible decision to take up beef with Salman Khan robbed him of the heights he was sure to climb. Real admirers of film and the craft of acting will agree that despite the way his career shaped out, Vivek Oberoi has always been a fine actor. These films and his performance are all the recollection you need. It was the time when Ranbir Kapoor was yet to become the face of coming of age dramas and that space was mostly dominated by Saif Ali Khan. But in Mani Ratnam’s Yuva. As Arjun Balachandran, the carefree and spoilt son of an IAS officer Vivek was a perfect fit. His transformation from the careless Casanova to a man falling in love and getting swiftly caught up in the volatile world of West Bengal politics was a class act for sure. The Ram Gopal Varma directorial saw Vivek in an entirely new light. He played Pratap Ravi, a college student, who returns to his ancestral town after the death of his father and soon finds himself caught in the middle of bloodshed and politics. 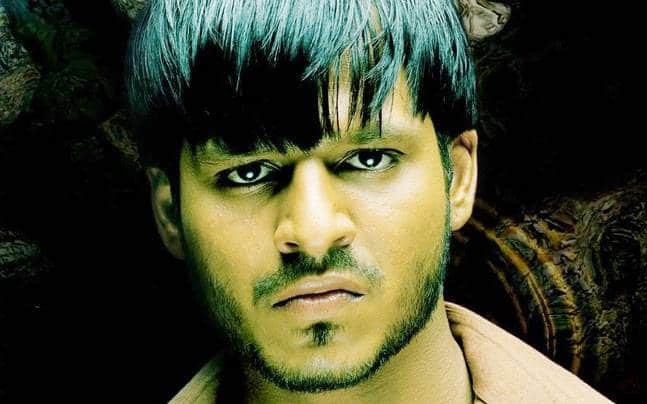 Dramatic, action-packed and a role that would test the range of the finest actors, Rakhtcharitra is one of the most powerful characters Vivek Oberoi has played in his life. When Saathiya released in 2002, there was hardly a girl who did not have a humongous crush on Aditya, played by Vivek Oberoi. The film was a remake of a popular Tamil film where the same character which was played by R. Madhavan was a cult favorite. But, Vivek held his ground as the sweet, romantic and charming Aditya whose carefree and sheltered life is suddenly disrupted after he elopes and gets married and start facing the harsh realities of life and relationships. Saathiya is easily one of Vivek Oberoi’s most popular roles. Despite being the son of a popular actor, Vivek did not have the usual glitzy and glamorous debut. Rather he chose a film like Company to make the debut that gave him scope to prove that he was an actor who had to be taken seriously. Such a strong performance in the very first film was appreciated by one and all and Vivek was quickly declared to be the next big thing. As somewhat naïve Raghu who is sucked into the Mumbai underworld, he was a portrait of vulnerability that tugged at your heart’s string. 15 Bollywood Celebrities Who Had Hot Exes!